As for other forms of treatment, Islam does not discourage the use of treatments available to us through medical and other sciences. On the contrary, the use of such treatments is encouraged by the teachings of the noble prophet (s.a.w.) who sought the treatment of illnesses and diseases for himself and urged his followers to do the same. Thus, seeking medical treatment for the cure of diseases is part of the prophet’s tradition. As for treatment, Islam also offers its believers the opportunity to treat ailments using ruqyah that, according to Islamic beliefs, can be used in the treatment of all forms of ailment. Ruqyah refers to Quranic verses (and dua) that are used to treat various ailments. 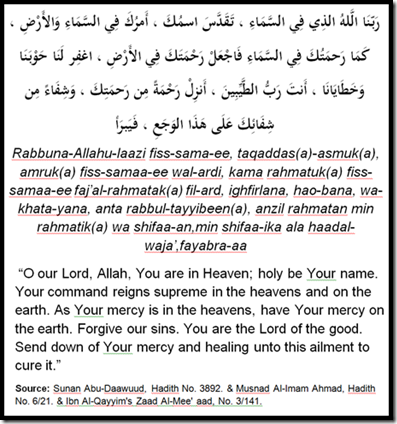 “Ruqyah” is an incantation or prayer for healing – usually from the Quran or dua prescribed by the prophet (s.a.w.). 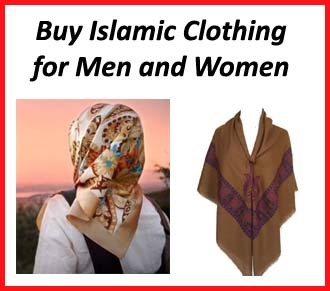 Ruqyah is one of the greatest remedies that the believer should use regularly. 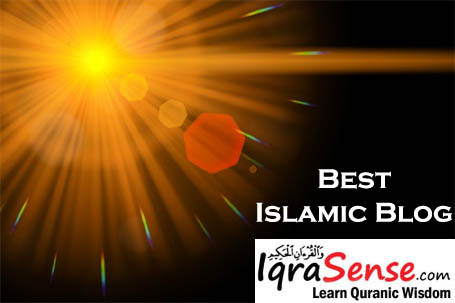 The greatest of ruqyah are Surah Al-Faatihah and Al- Mu’wadaitain (the last two surahs (chapters) of the Quran – Surah Al-Falaq and Surah Al-naas). 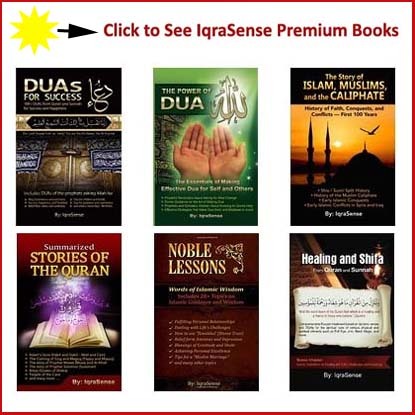 Islamic beliefs stipulate that each disease is sent down in this world with its cure, but the means of treatment may not be known to everyone. While medical sciences may have helped in the discovery of cures for many diseases and ailments, there are many for which the cures still have to be found. 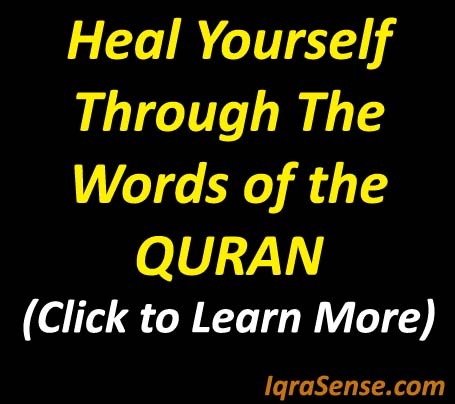 Quranic ruqyah, on the other hand, provides Muslim believers the opportunity to treat all their ailments through the use of Allah’s words and duas taught by the prophet (s.a.w.) in parallel with using medical treatments. 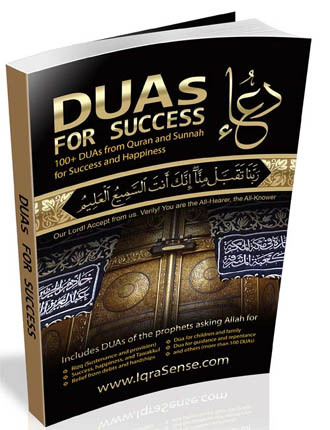 Ruqyah and other duas taught by the prophet (s.a.w.) can also be used to treat ailments such as sihr, evil eye, etc. which are spiritual conditions that are not recognized and proven by medical sciences. 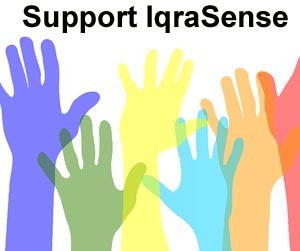 Many amongst us suffer from such ailments but as the symptoms of such ailments are similar to other psychological conditions, proper treatment using Quranic ruqyah is not used, thereby extending the duration of those illnesses indefinitely. “This (seeking medical advice) does not contradict tawaakul (putting one’s trust in Allah), just as warding off hunger, thirst, heat and cold does not contradict tawakkul. The essence of tawaakul is not complete without resorting to the means which Allah has set out in order for us to achieve results both according to His decree (qadr) and His laws. Not using these means is contrary to tawakkul: it goes against and undermines the command and wisdom of Allah, although the one who neglects the means may think that this makes his tawakkul stronger. Ignoring the means is a sign of helplessness that goes against the true essence of tawakkul, which is that the heart relies on Allah to bring the slave whatever will benefit him in this world and the next, and to protect him from whatever may harm him in this world and the next. But along with this reliance, it is essential to take the appropriate means, otherwise he will be going against the wisdom and command of Allah. Helplessness should not be taken as a sign of tawaakul, nor should tawakkul make a person helpless (Zaad Al-MaAad, 4/15. See Al-MawsooAh Al-Fiqhiyyah, 11/116). 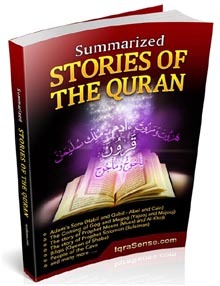 We know from both Quran and Sunnah many Quranic verses and Dua that are used for all forms of treatment. 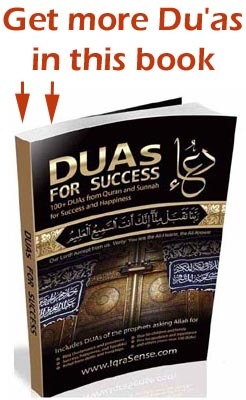 The following are some of those Quranic verses and DUAs. 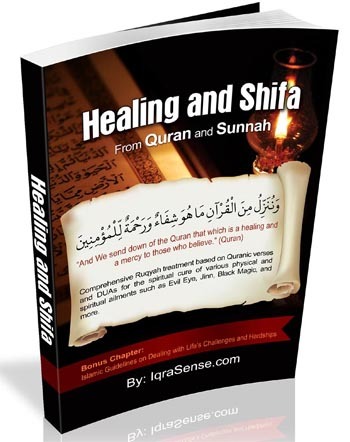 A more comprehensive list is is Iqrasense’s new book: Healing and Shifa from Quran and Sunnah. Surah Al-Faatihah has special blessings as was specifically mentioned by the prophet (s.a.w.). In one of the hadith the prophet (s.a.w.) told us that it was the greatest surah of the Quran. 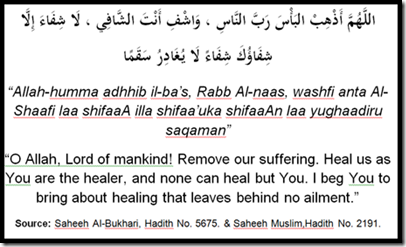 This surah can be used to ward off evil and for general healing. “And indeed, We have bestowed upon you seven of Al-Mathani (the seven repeatedly recited Verses), (i.e. Surah Al-Faatiha) and the Grand Quran” (Surah Al-Hijr, 15:87). “Mu’wadaitain” is an Arabic word that refers to the last two surahs of the Quran, namely Surah Al-Falaq and Surah An-Naas. Prophet’s ahadith clearly tell us that these two surahs were revealed to seek protection from various types of evils. 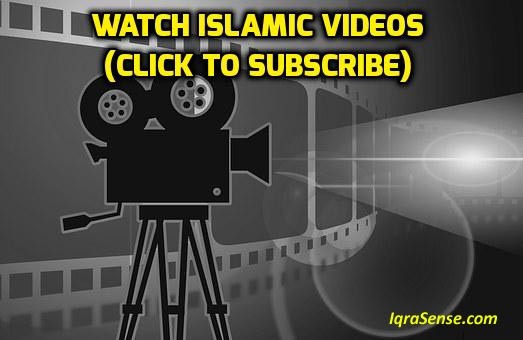 Ibn Al-Qayyim said that “the effectiveness of these surahs is great to repel magic, evil eye, and the rest of the evils and the need for a slave to seek Allah’s protection from these two surahs is greater than his need for self, eating, driking, and wearing dress” (Al-Fawwaid, 2/426). According to tafsir ibn Kathir, Abu Saeed reported that the Messenger of Allah (s.a.w.) used to seek protection against the evil eyes of the jinns and mankind. But when the Mu’wadaitain were revealed, he used them (for protection) and abandoned all else besides them (narrated in At-Tirmidhi, An-Nasa’i and Ibn Majah). Abu Saeed al-Khudri said: “The Messenger of Allah (s.a.w.) used to seek refuge with Allah from the jinn and from the evil eye until the Mu’wadaitain were revealed, and when they were revealed he started to recite them and not anything else” (narrated by al-Tirmidhi, 2058; he said it is hasan ghareeb. Also narrated by al-Nasaa’i, 5494; Ibn Maajah, 3511). There is another hadith narrated by Abdullah bin Khabeeb who said that, “we got out once on a rainy night and it was very dark and we looked for the prophet (s.a.w.) to pray for us and then we found him and he said ‘Did you pray?’ and I didn’t say anything. Then he said, ‘Say’ but I didn’t say anything. Then he said, ‘Say’ but again I didn’t say anything. Then he said, ‘Say’ So, I said, ‘What should I say?’ He said, ‘Qul Hoo wAllahu Ahad and Muwaidaitain when you enter the evening and when you wake up in the morning three times and it will protect you from everything’” (Tirmidhee # 3575), Aby Daud (# 5084). 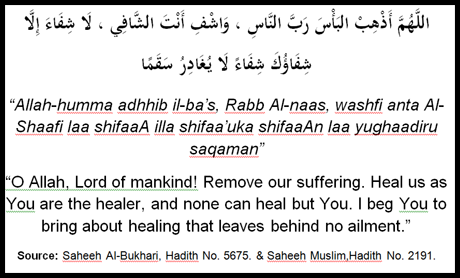 The following are some of the DUAs that the prophet (s.a.w.s) taught us to treat their illnesses. This is the best advice I’ve received while undergoing Cancer Treatment. Had I known this remedy was there for me, my bouts with depression would not have effected me in a negative way. This is a great read for all of us. Ya allah, a friend’s husband is in critical conditiob. Pls show mercy on them. She just gave birth to a beautiful baby boy last month. She needs her husband and the boy needs his father. Pls make him well. Inshallah she needs your guidance and blessings. Pls look after your child. I love you allah. Masha’Allah! May the Almighty protect His servants, great reminder to all muslims. It is very useful website and I am learning a lot from it. Shukria keep us learning more and more about Islam. jazaakallah khairan .may Allah recompenses you for this great reminder and Allah help us to make use of this great risk for our own benefit.ameen. Assalam o aleikum all dear brothers and sisters. 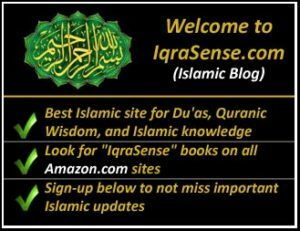 I am glad to see this useful site masha’Allah and hope it will help all human beings insha’Allah taala in obtaining good health by Allah’s Grace and Mercy, aameen. I would also request to all brethren to pray for the health and full recovery of my younger brother who is suffering from cancer. Allah is the best healer. Thanks. Really good and informative article. May Allah SWT bestow His Mercy upon the people who worked on it. Keep working on such beautiful and informative articles. I am indeed glad to have read this stimulating article. May Allah bless you abundantly. My brother Abdulhafiz have been sick ever since he was 2years old. My parents tried all forms of help from healers even from the non muslims with hope that he will get better. He is 21years old now no changes. He still exprience seizures inform of spiritual attacks that leaves him unconcious and won’t be able to remember anything. This happen almost every day of his life. Now the family’s faith has grown solely on Allah’s mercies that he might find cure. Pls brothers and sister remember my brother AbdulHafiz in your prayers and any helpful dua will be appriciated. Asalam Aleikum. My mother is in a lot of pain she’s finding very difficult to walk. Please everyone, please pray for my mother for all the pain relief please help me I can’t see her in pain. JazakAllah for such a great article. It completely clarifies the point of being in harmony with medical science and reliance on Allah. Please make dua for my sister who is suffering from brain cancer. 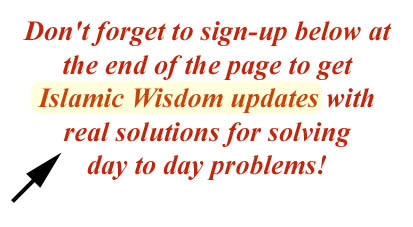 Alhamdulillah, may Allah reward the people that had put together these articles in order for other to benefit from it. May Allah heal, cure & help these that are going through any hardship with his mercy, amen. There is cure in every verse of the holy Quran. One just needs to believe in it. 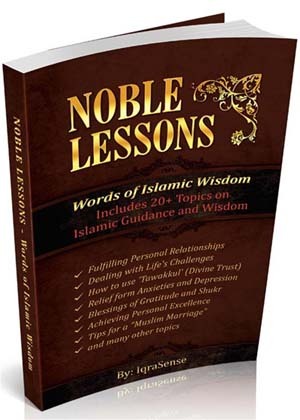 Islam urges and provides instructions on how to stay healthy and avoid illnesses. 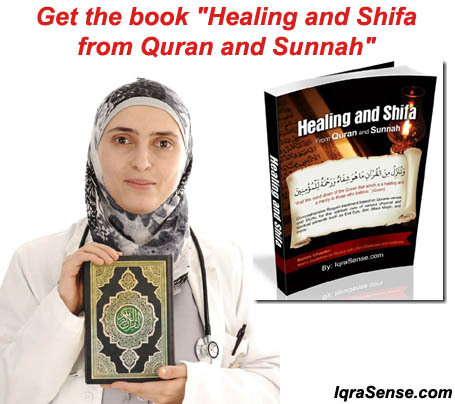 Islamic medicines and healing practices of the prophet are a great source of curing any type of disease. May Alla provide quick recovery to every Muslims and iam seeking for your prayer for ill iam suffering for now. Salaam. I pray Allah cures the hearts, minds, bodies and souls of all of your troubles, swiftly and easily as Allah has the power to cure Ayoob/Job aleihisSalaam. Ameen. Salam uo laikum wa rahmatAllah wabarakatu, May Allah swt grant us the strength and wisdom to find what cure is best for us and grant us shifa through it, Ameen. Educating and elevating website. I will want to beg that Shops or Agents should be assign in Nigeria where these valuable Books can be purchase without ordering them online. May ALLAH reward you abundantly. Ameen thumma Ameen.